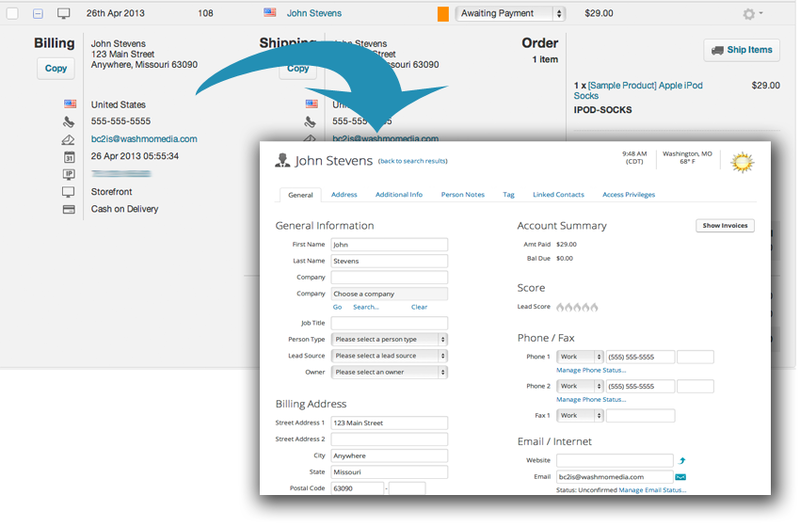 Automatically transfer e-commerce orders, products and contacts to your Infusionsoft application. Create and apply product tags to your Infusionsoft contacts. Know who bought what using the tags applied to each contact. Start Infusionsoft campaigns, based on new orders received, or when customers purchase specific products. No software installs, means Connect My Sales is easy to setup and start using. Need help anyway? We're here for you. We listen to our customers and regularly add features based on their input. Pricing shouldn't be rocket science. Free support. No setup fees. No contracts. $55/month. Contact us for pricing on stores greater than 5,000 orders/month..
Save yourself time by automatically transferring your order data.